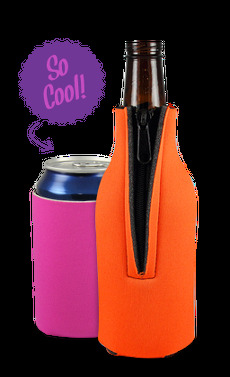 Full color bottle coolie keeps your beverage of choice nice and cold, regardless of whether you choose the bottle sleeve or the full coverage zipper model. With complete color, this bottle coolie allows you to create something unique designed around your particular event. Designed for 12 oz. bottles and made with durable, lightweight material.